The following are sites that we at The Beach have found on the web that may be of use to our visitors. TheBeach.vi is not responsible for the content of these sites but we are always sure to try not to link to any site that is not family friendly. Why go to a timeshare resort and pay retail? Buy and Rent timeshares for up to 60% off with us. Site Description: Villas and apartments available for holiday rentals in all parts of Spain. Site Description: Vacation apartments, houses and villas for sale in southern Spain. 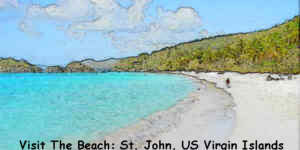 Site Description: Vacation rental owners get a free availability calendar and list your property. Texas House Rentals & Texas Home Rentals - TexasRenthouse.com - Free House, Duplex & Townhouse rental listings, Apartment Locators, and More!